Costing methods usually differ in the way that they value inventory decreases. But, regardless of what costing type you use, all of them have minimum one common thing. When the quantity on inventory is zero, the inventory value must also be zero. The next common thing is way of the posting all incoming and outgoing entries. This posting results entries as quantity and as value. Quantity posting describes the change in quantity on inventory and this transaction is stored in Item Ledger Entries. Value posting describes the change in inventory value and this transaction is stored in Value Entries. Each entry in Value Entries table is linked with entry in the Item Ledger Entries table. More entries in the Value Entries table can be applied with the same entry in the Item Ledger Entry. Each Item ledger entry is applied against each other. All these applications between incoming and outgoing quantities in the Item Ledger Entries are stored in the Item Application Entry table as links between inventory increase and inventory decrease in an Item Ledger Entry. NAV records the entry number of the Item Ledger Entry corresponding to the inventory increase in the Inbound Item Entry No. field and the entry number of the Item Ledger Entry corresponding to the inventory decrease in the Outbound Item Entry No. field. The program also reduces the Remaining Quantity fields in the corresponding item ledger entries by the applied quantity. 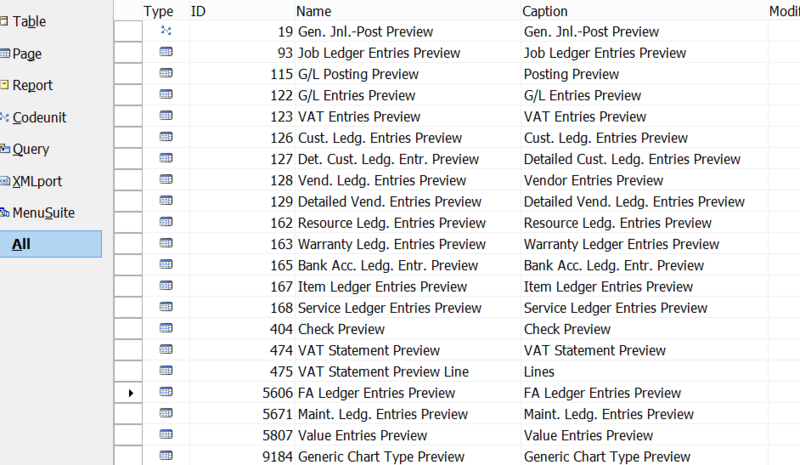 Based on the Inventory Posting Setup, system will post all these entries to the General Ledger Entries. In my previous articles about using of posting groups in Dynamics NAV, I didn’t describe using of posting groups in Assembly Orders. Assembly Orders are here in the few last versions of NAV and I want to show them as well. Few days ago I’ve published how you can use Posting Groups in Microsoft Dynamics NAV 2016 when you have purchase where you use Deferrals. Now, I want to show you how it looks like when you use Deferrals in sales process. In my old post, you can find everything about using Posting Groups in standard sales process. Now, I’ll show difference. One of the main difference is that system doesn’t use inventory posting groups when posts sales invoice (the same as in purchase scenario). When you use Items and Resources, system will use Sales Account from General Posting Setup, but if you use G/L Account in the sales line, system will use this G/L Account you typed. You can notice that we have more line amounts. Number of lines is based on number of period defined in Deferral Template. For each period, we have two lines (positive and negative). We have always first period lines, but other period lines are behind all entries, because they have not the same posting date. Their posting date is based on setup in Deferral Template. And I’ve forgot one things in the last post. If you want to see all lines using Navigate, you have to delete Posting Date in Navigate page or if you didn’t it, you have to delete Posting Date from filters in General Ledger Entry. What is Posting Preview in NAV 2016? I’m sure that your clients many times asked to make some feature to see results of posting before they post document, at least G/L entries as report. My clients asked for this a hundred times. This was on first sight very simple requirement, but in practice… Now with NAV 2016, we finally got it. And not only we did get it… we have got the awesome feature. It looks like so simply and because of that it is awesome. You just need to click on Preview Posting command in your ribbon and you will get completely navigated page with all entries (G/L entries, Customer/Vendor entries, VAT entries, Value entries…). Everything is the same as you already post this document, but this is not posted. All links are here… perfect. Of course, you will not see Document No. for example; this is because we still have not this data. You can find this feature on almost all documents and journals. It miss maybe only on few of them. This solution is based on temporary tables. When you look at these objects, everything will be clearer. Try it and you will see how good it is.